Modern wooden wall clock clock – pine colour wood surround. 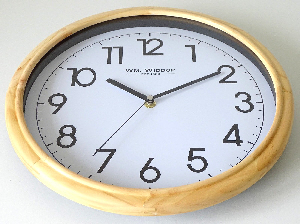 Clock Diameter 29.5cm approx’. Made of Aluminium. Quartz Movement/Mechanism. 1 x AA Battery (Not Included). For more info’ please follow this ebay link. Thank you.